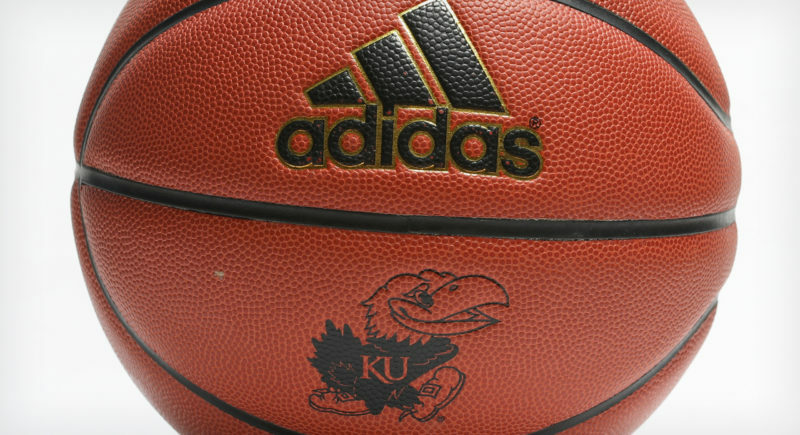 With no team positioned to jump them into the top spot during the past seven days, the Kansas men’s basketball team returned to the No. 1 ranking in the Associated Press Top 25 on Monday. 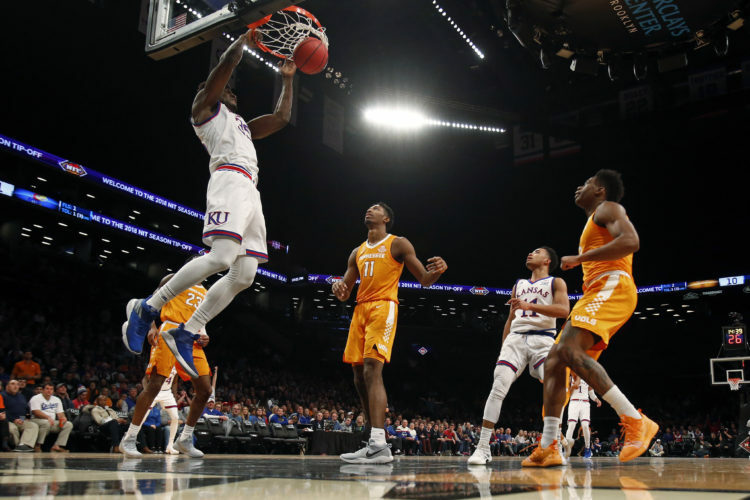 The Jayhawks, winners of eight in a row to open the 2018-19 season, received 57 of the 65 first-place votes, with Duke (4), Tennessee (1), Gonzaga (1), Michigan (1) and Virginia (1) all receiving the eight remaining first-place votes while claiming spots 2 through 6 in this week’s poll. Unbeaten Nevada, Auburn (8-1), Michigan State (8-2) and Florida State (8-1) round out the Top 10. 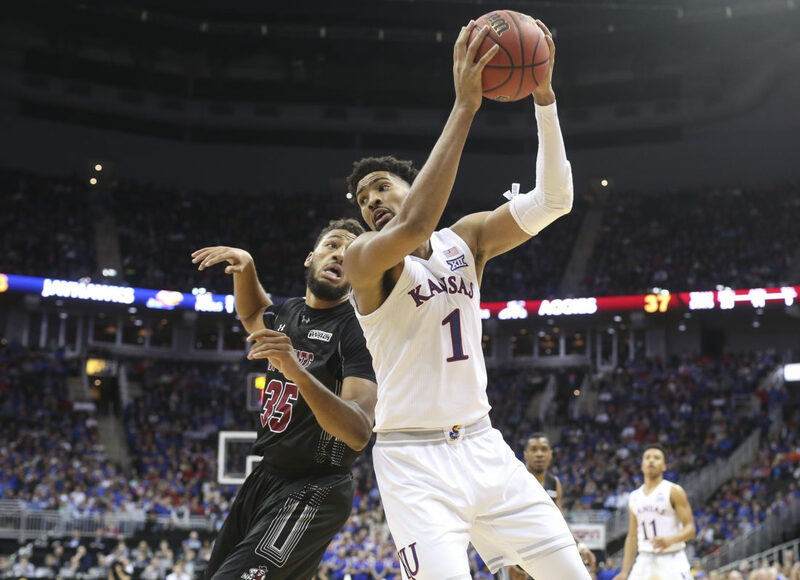 Kansas, which survived a scare from New Mexico State at Sprint Center on Saturday night in Kansas City, Mo., climbed back into the No. 1 spot thanks to Gonzaga’s loss to Tennessee. The Volunteers, which sit at 7-1 and opened the season ranked No. 6, are likely an overtime loss to KU from sitting in the top spot themselves. KU (8-0), Virginia (9-0) and Nevada (7-0) are the only teams ranked in the preseason AP Top 10 that have yet to suffer a loss this season. Michigan, at 10-0, also is unbeaten and rolling, but the Wolverines did not open the season in the Top 10, instead starting at No. 19. 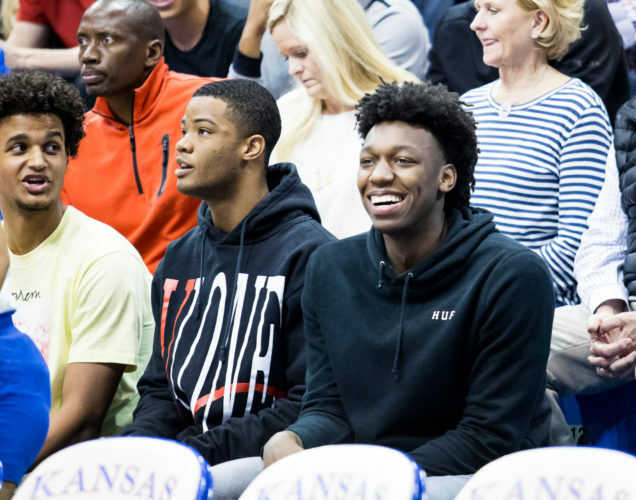 The Jayhawks, who opened the season as the AP’s preseason No. 1, have not fallen below second this season but were jumped in Week 1 by Duke, which drubbed Kentucky to open the season, and jumped again by Gonzaga in Week 4 after the Zags knocked off Duke at the Maui Invitational. 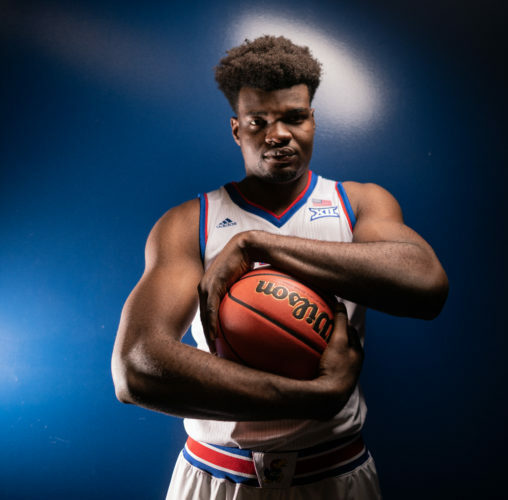 The Jayhawks currently have two Top 10 wins already this season, three victories against teams currently ranked in the Top 25 and will get a chance for two more — No. 17 Villanova (8-2) at 11 a.m. Saturday morning at Allen Fieldhouse in a highly anticipated rematch of last year’s Final Four matchup and at No. 20 Arizona State on Dec. 22 — in the next two weeks. 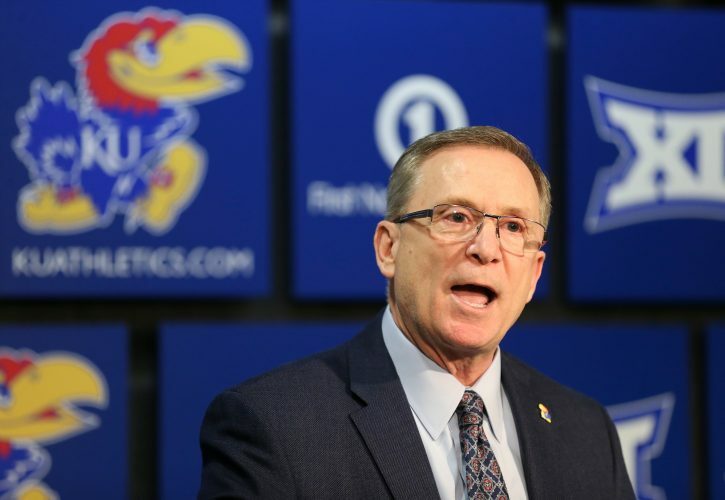 While Self and his players generally don’t put too much into the polls at this time of year, that figures to be extra true this week, with Kansas having a week between games and closing in on first-semester finals. Others receiving votes: Nebraska 115, Maryland 105, Oklahoma 82, Cincinnati 73, St. John’s 57, Purdue 40, NC State 26, Iowa St. 19, TCU 13, San Francisco 5, UCLA 3, Minnesota 2, Butler 2, Davidson 1, Florida 1, NJIT 1, Seton Hall 1, Texas 1.